Round neck jumper by GANT with raglan sleeves. 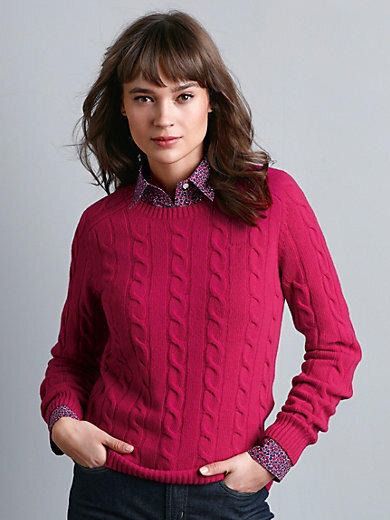 Soft, warm, knitted piece made of soft lambswool with sporty cable pattern and ribbed cuffs. 100% wool. Length approx. 24ins. The round neck jumper should be washed by hand.